Born: 24 November 1826, Stratton, Cornwall, United Kingdom. Died: 16 June 1879, Pretoria, South Africa. J. Vacy Lyle studied medicine in Edinburgh and probably qualified as Bachelor of Medicine (MB), though his qualification is sometimes listed as MD (Doctor of Medicine). He was admitted as a member of the Royal College of Surgeons of Edinburgh (MRCS Edin), and also qualified as a licentiate of the Society of Apothecaries of London (LSA). In 1849 he reported on cases of inflammation of the uvula in The Lancet. After practising in Edinburgh for some time he emigrated to Natal in 1858 and cultivated sugar-cane in Victoria County. During the economic depression of the 1860's he moved to Durban and gradually developed a successful medical practice. He conducted an investigation into bilharzia and in about 1865 published the results in Bilharzia haematobium. From 1866 to 1869 he was furthermore the first editor of the newly established newspaper, The Natal Herald. Lyle's wide interest in applied science is shown by the roles he played in various scientific societies. He was a foundation member of the Durban Medico-Chirurgical Society (1871?-1886?) which, after the South African Medical Society (Cape Town, 1827-1847) was the first of many local medical societies founded during the last three decades of the nineteenth century. 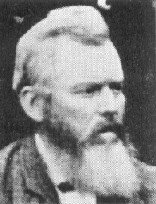 From about 1873 Lyle served as its secretary for a year, and then as president until he left Natal in 1877. He was a member of the council of the Natural History Association of Natal from its foundation in 1868 to its demise three years later. In April 1868 he read "Introductory remarks on the science of botany" before its members and was scheduled to deliver a second paper in July 1869, on disease and its causes in the Borough of Durban, but it was cancelled. He also served on the committee of the Natal Agricultural and Horticultural Society for some time around 1867, and on the council of the Natal Chamber of Agriculture three years later. In 1873 Lyle accompanied the administrator Theophilus Shepstone to Zululand, where he examined Cetshwayo and attended the latter's coronation as King of the Zulus. Four years later, as Shepstone's personal physician, he accompanied the latter on his mission to annex the Transvaal. After Shepstone had taken over the administration of the territory Lyle was appointed superintendent of education and commissioned to examine the educational system of the territory. The results of his investigation were set out in a lengthy report in the Government Gazette of 7 January 1879, a few months before his death. The report contained important recommendations for improving particularly primary education. He supported private initiative in building additional schools to meet the needs of various groups and introduced a successful subsidy system for such building projects. His sensible and sympathetic attitude towards the rural population in particular helped to improve the attitudes of the Boers towards the British occupation of the territory. Another of his tasks was to investigate the medical profession in the Transvaal, on which he reported in July 1878, with suggestions for the admission of candidates. That same month he requested medical instruments, as well as medicines for the hospital at Fort Weeber (probably Fort Weber, north of Christiana). By December 1877 he was furthermore a member of the commission of the Pretoria Botanic Garden. Lyle was survived by his wife, Mary King Lyle, born Norway, with whom he had six children. General directory and guide book to the Cape of Good Hope and its dependencies..., 1871-1877. Google scholar. http://scholar.google.co.za Publications by J.V. Lyle. Natal almanac, directory and yearly register [title varies], 1867, 1869, 1870, 1872-1880. National Archives Repository, Pretoria (TAB). Volume SS319, R4576/1878, Pretoria Botanic Garden. National Automated Archival Information Retrieval System (NAAIRS). http://www.national.archives.gov.za/naairs.htm Documents relating to Lyle, John Vacy / Lyle, J. Vacy / Lyle, I. Vacy. Transvaal almanac and directory, 1879.